The Australian Labor Party’s, Ed Husic MP, delivered a speech to government today, calling out the Minister for Infrastructure, Mr Darren Chester MP and Urban Infrastructure Minister, Paul Fletcher MP, for denying the general aviation industry a clear seat at the table on the Forum for Western Sydney Airport (FOWSA). The Turnbull Government continues with its con-job consultation around Badgerys Creek airport. Here’s the latest instalment of this fake consultation, with the added twist that it might actually kill off general aviation in the Sydney Basin. The protagonists are all the aviation businesses running out of Bankstown and Camden airports whose future is threatened by the plans for an airport at Badgerys Creek. Our antagonists are both the Infrastructure and Urban Infrastructure Minister who have locked out those stakeholders from important deliberations over the future of aviation in Sydney. 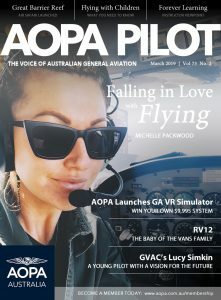 Stunningly, the Australian Aircraft Owners and Pilots Association (AOPA) was not given a seat on the Forum On Western Sydney Airport – or as I like to call it, the Friends of Western Sydney Airport, populated largely with cheerleaders and only a few people who actually treat this process seriously, including my friend and colleague the Member for Werriwa. You cannot lock out an association like that – you only lock out an association with 3,000 members if you don’t want to hear what they have to say. Any new airport will greatly impact the livelihoods of many general aviation businesses operating out of both Bankstown and Camden. Of the three flight models provided in the EIS for Badgerys Creek airport, AOPA believes two of them would effectively end all instrument flights from Bankstown airport. That would also almost certainly spell the end of pilot training out of Bankstown airport. Yet this association isn’t given a spot on FOWSA. The government is engaging in fake consultation over this airport. They want to push it through without public debate. They don’t even care about aviation businesses affected because those businesses dare to do something other than tow the government line. The Infrastructure Minister won’t even meet with AOPA and this is a joke. The Department of Infrastructure and Regional Development is supposed to work with Airservices Australia to develop flight paths, air space management and configurations for the new airport. But when AOPA ask Airservices Australia for information about these plans they are told to speak with the department. When they ask the department for information about airspace planning they aren’t given any information there either. The Coalition is only pro-business when those businesses are pro-Coalition. In order for those businesses to plan for their future they have to be included in any planning. It’s that simple. Without inclusion they face, perhaps, closure. The reason the department contracted out flight path development and didn’t contract Airservices Australia is to ensure that meaningful consultation was not provided for with affected communities. The government and the department are knowingly excluding Airservices Australia because they want to build this airport to such a point it’s impossible to accommodate community concern. They are deliberately and knowingly misleading communities – keeping them in the dark – and it will be too late to correct this when western Sydney communities realise what is actually happening.